This class focuses on verbal communication, we engage children in a fun-filled and creative way, to listen, comprehend, retell and present what they learn from newspapers, story books, leveled reading books, short videos etc. 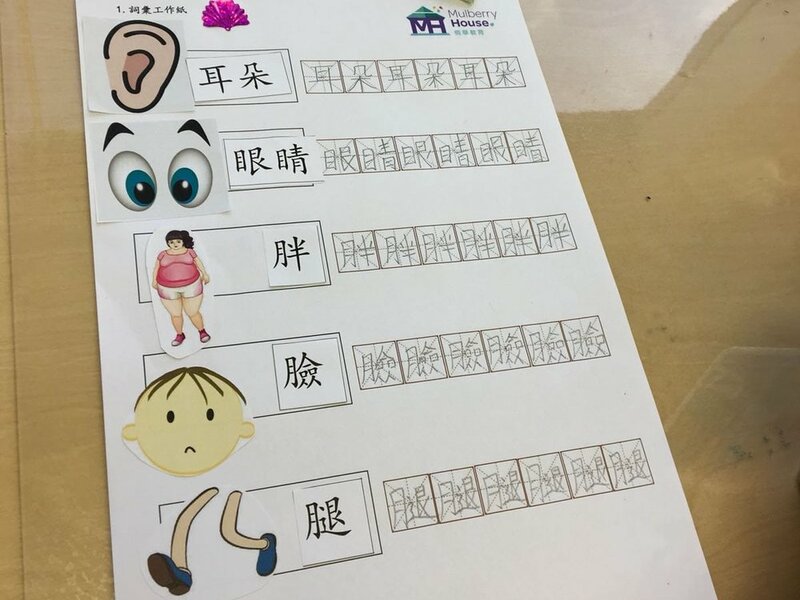 Children will increase their understanding of new vocabularies, phrases and contexts, gradually growing their confidence and expressing their thoughts and ideas fully using Mandarin Chinese. Following the IB approach and the 6 trans-disciplinary themes within PYP, we encourage students to join our half day immersion classes, wherein children explore outside the classrooms: parks, museums, beaches, farms, communities etc (some weeks are all outdoors and some weeks are divided between outdoor time and indoor discussions). Within each learning themes, we guide students to discover the natural world and new findings, communicate and reflect on their understanding and how it impacts their future thinking and actions. 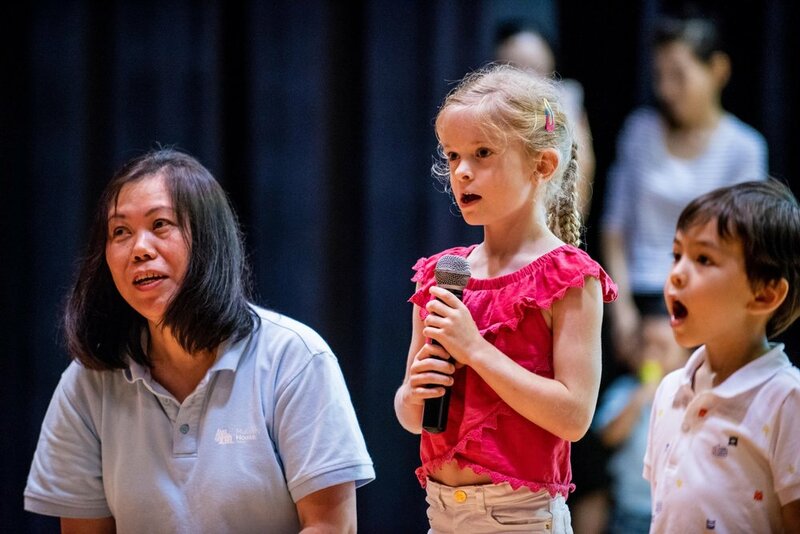 Our goal is to motivate students to develop life-long curiosity and critical thinking skills, whilst gaining plenty of practical vocabularies, contexts and concepts in Mandarin. 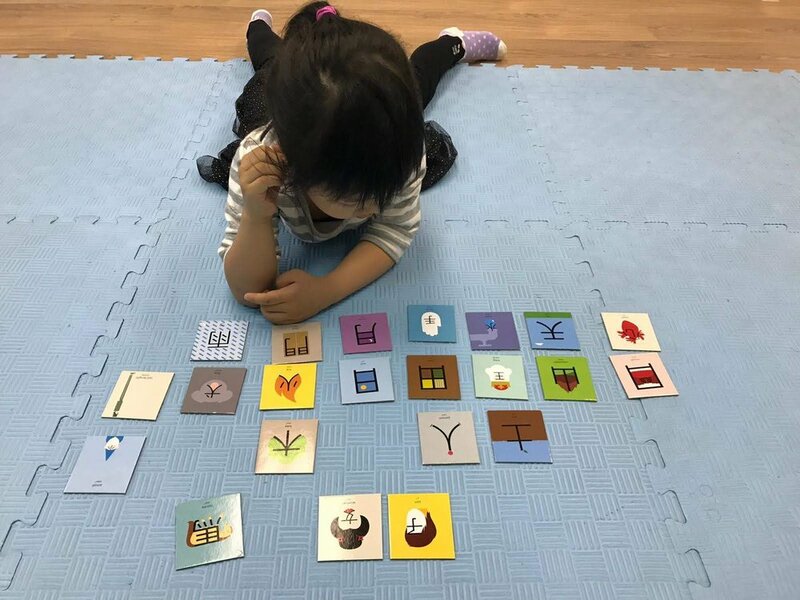 •This class is perfect to cultivate appreciation of Chinese culture.It is also great in helping children to concentrate better, increase their attention span. 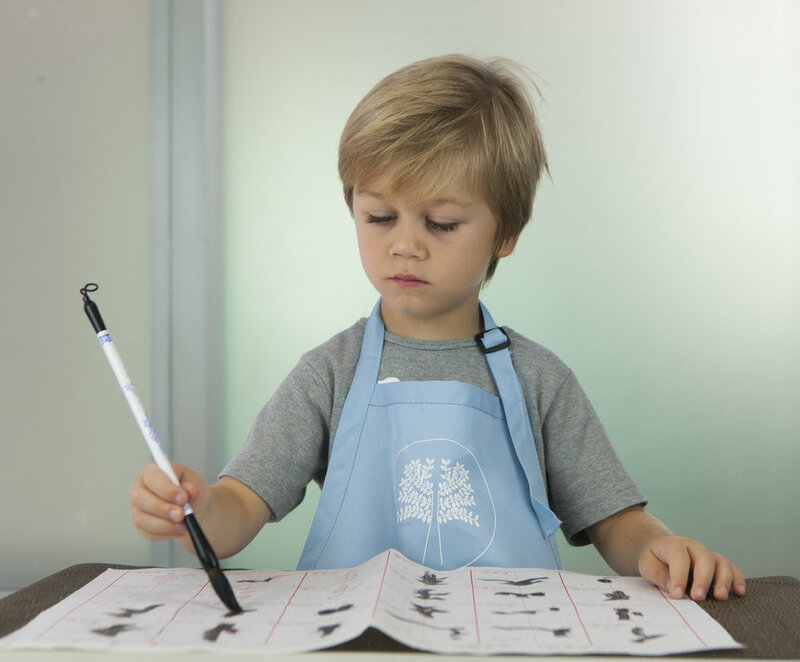 •(30 min) Children are introduced to Chinese brushes, ink, rice paper, ink stone and ink stick. 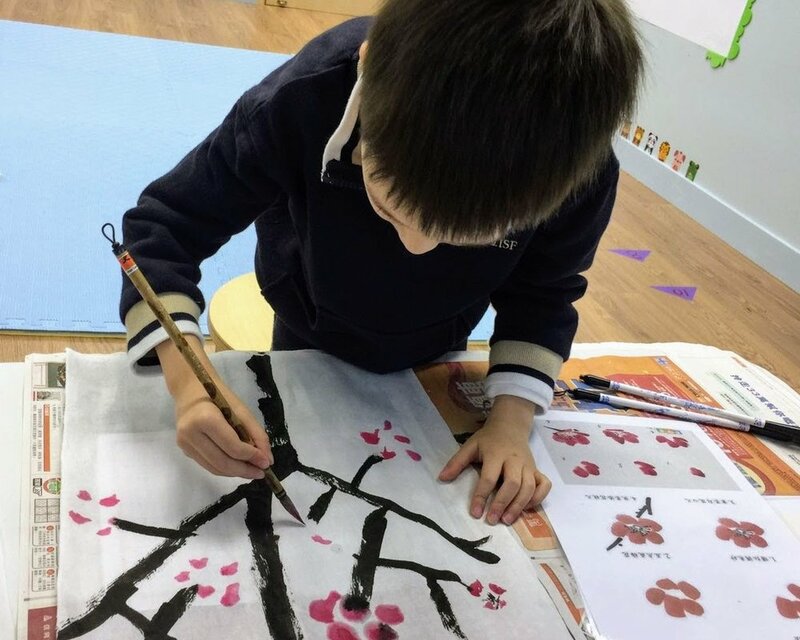 They will learn to paint famous Chinese elements such as cherry blossoms, peach flowers, mountains, and landscapes. 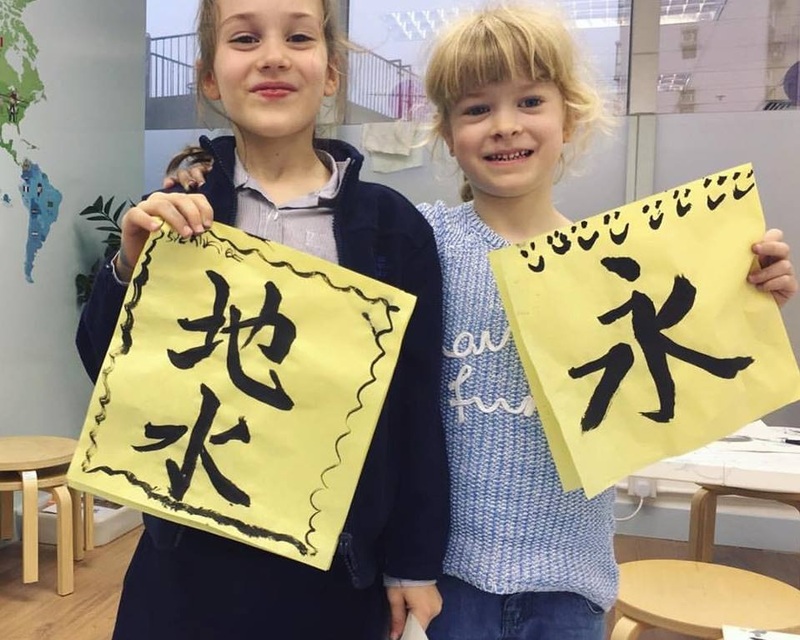 •(30 min) Children are also introduced to calligraphy and Chinese characters, fostering a better understanding and appreciation of the structure and aesthetic of the Chinese characters.